In November 1831, a fierce northeaster wreaked havoc on Portland’s exposed harbor. The storm, coupled with a high tide, caused widespread damage in the harbor. Vessels’ mooring lines were parted, piers were destroyed and several buildings were carried away. 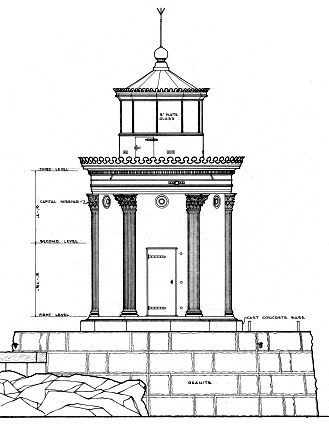 The Portland Breakwater Light Station assisted mariners to navigate the shoal-laced approach to the harbor at Portland, Maine.